… NO, doesn’t often happen to get back on top of the “Mungibeddu” … it burst, renews itself, changes landscape, everybody respect it, always..
… it has been UNESCO heritage since 2013 … it is..
What we recount here, it is the story of a volcano that was born about 6.000.000 years ago. It is the story of a population and of a troubled, lively, generous and so majestic volcano. Maybe it is one of the biggest love stories of all times. Yes, it is. 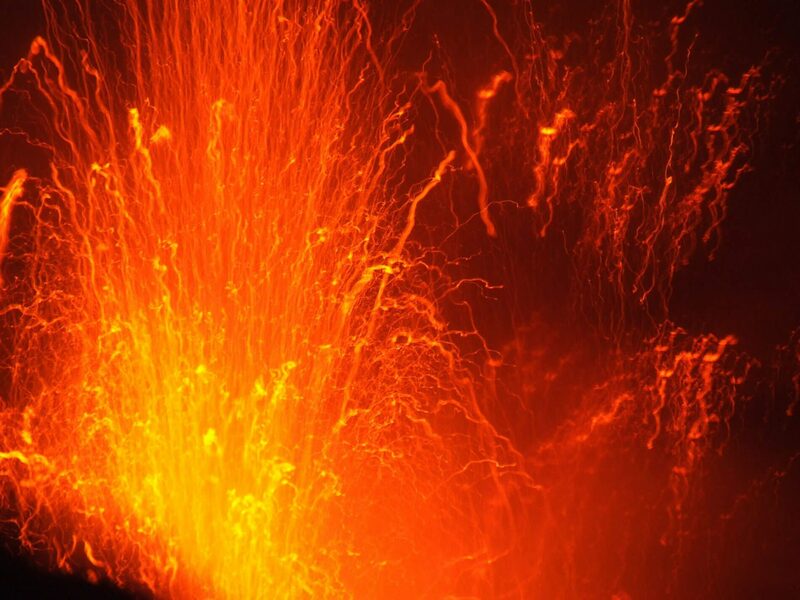 It is a hard, back-breaking story where Mount Etna is considered a “kind” volcano (because it has never produced biggest extent eruptions) but also a volcano with an unruly character, which transforms everything that is in its surroundings. It belongs to an ancestry that rebuilds with patience and love. Well, Mont Etna, with its 3329 meters of height, it is the biggest European volcano, and one of the biggest all over the world. For what the man can remember, since VII century B.C. until now there have been about one hundred biggest eruptions. Some were so important so much that they transformed entirely villages. We recount a special place. With an absolute certain. The ancient Greek relate about places and underground caves where lived the blacksmiths of the Olympus’s Goods and the cyclops that were forging their weapons under the control by Efesto (the God of fire). The nice thing was that they were so strong that when they were beating on anvils the earth around shook during the flames of their forge protruded from the mountains. Places like these are the two volcanoes, Mt Etna and Vulcano (Aeolian Islands). The report also about a famous traveler, a certain Ulisse that on his way back from the Trojan War meets the cyclops Polifemo and with a trickery to from his rage. It is also narrated the unrequited love that Polifemo had for the nymph Galatea (the nymph of the sea) which was in love of the shepherd Aci ( the son of the God Pan). The jealousy of Polifemo was so strong that led him to kill the young man Aci, throwing above him a giant stone. The desperation and the cries of Galatea aroused the compassion of the Gods that transformed Aci in a river which from Etna flows into the sea exactly in the point where the two lovers met. It must be said the territory around the area of the volcano Etna were film location, films that have made the history of the international cinema: Star Wars, episode III – The revenge of Sith (2015); The Godfather, Part III (1990), made by Francis Ford Coppola. Etna, because of its nature is an inexhaustible source of natural beauties. Beside the volcanic craters, that can be seen today with the help of the alpine guides, in 1987 was also created the “Park of Etna”, a Natural Protected Area where there are preserved the fauna and flora of great importance and rare beauty. For who would like a bit of cool during the summer (remembering that the stratums of the volcano during the winter are always covered with snow and for this reason is a ideal place for the winter sports) can decide to visit the “Grotta del gelo”, one of the few caves of lava flowing that can be seen where the temperature is steadily at – 6 °C and where the ice is perennial. The generosity of Mt Etna, united to the laboriousness and steadiness of the Sicilians has made this territory rich of every delicacy. Arriving on Mt Etna means to be prepared to an experience that besides involving mind and soul, involves also the five senses and does that throw the palate. The pastures of Etna, where bovine and goats eat, allow the realization of different types of cheese that can be found on the tables of all the Sicilians. The soil, rich of minerals, and the climate, guarantee the production of red oranges, cherries and figs of India, that for their organoleptic and healthy properties, are famous all over the world. The vineyards implanted on the territory of the volcano have gave birth to fine wines rewarded worldwide. There are natural cellars settled in the volcanic rock where you will not only find casks and bottles of good wine but you will also find cheese and cold cuts to season. You can also find pistachios from which derive creams, pesto, ice cream and sweets. The honey produced in this territory has a high quality and for this reason is called the “gold of Etna”. The typical dishes of this area are realized with this products and not only. What else? Enjoy your meal! We from Discover Messina Sicily, will tell about it, about this city and we will do it through our touristic services and excursions with our guides and our assistants in Italian, English, Spanish, French and Rumenian. What you will share with the people you love.